PARISH COUNCIL: As the rectory and parish office will be vacated, council members will monitor the property daily and check the parish answering machine for messages. 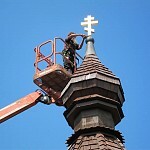 Visiting clergy will serve at Holy Cross on weekends. The council will meet again on Monday, July 9, at 6:30 pm. Direct any parish-related questions or concerns to any Council member. And if willing/able to help the council accomplish various weekday tasks in and around the parish, please offer your services. 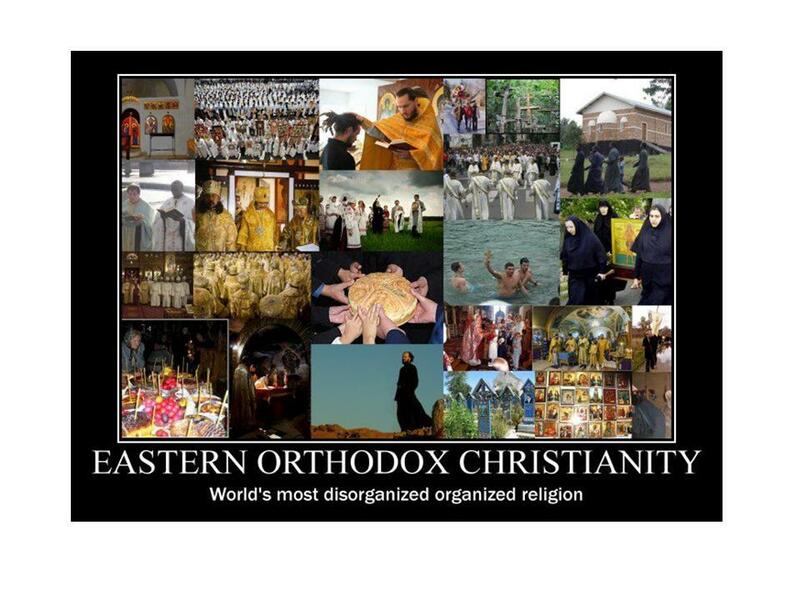 Got a problem with organized religion??? We, the members of the Assembly of Canonical Orthodox Bishops of the United States of America, gathered in Dallas, Texas, on September 16-18, 2014, prayed "for the peace of the whole world" (from the Divine Liturgy of St John Chrysostom) and decried the brutal and bloody violence in the Middle East. The barbarity perpetrated against Christians, Muslims and vulnerable communities in the Middle East by the self-named Islamic State in Iraq and Syria (ISIS) as well as other jihadist groups has claimed numerous innocent lives and driven countless people from their homes. It has also threatened the existence of Christian communities, which enjoy an uninterrupted presence there for over two thousand years. Recent hostility not only against Christians and Yazidis, but also against Muslims, has shocked the entire civilized world. Echoing the statement of His Beatitude Patriarch John X of the Greek Orthodox Patriarchate of Antioch and All the East as well as the other Patriarchs of the East (August 14, 2014), we lament and denounce the egregious and barbarous incidents in the area, including religious intolerance and fanaticism, that erode the social fabric and unity of the region, destroying churches, shrines and monuments, which are the common heritage of all Christians and, indeed, all humanity. Along with His All-Holiness Ecumenical Patriarch Bartholomew, "we cannot remain indifferent or silent before such irrational persecution, cultural intolerance and appalling loss of life, especially when caused by religious hatred and racial hostility" (August 13, 2014). The recent horrific events in Iraq and Syria, Libya and Egypt, and especially in Palestine and Lebanon, demonstrate the dire consequences of remaining complacent in the face of evil. 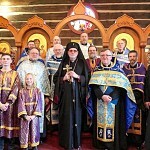 In this regard, we affirm the Message of the Primates of the Orthodox Autocephalous Churches (March 9, 2014), which called "for the immediate cessation of military action, liberation of captives, and establishment of peace in the region through dialogue," stressing "that Christians in the Middle East are a leaven of peace" and emphasizing that "peace for all people also means peace for Christians." 1) We affirm our solidarity with and pray for the safety of Christians in the Middle East, committing ourselves to work for peace and justice in the region. 2) We support international efforts to resolve the Israel-Palestine issue, ensuring the security, freedom and human rights of their peoples, and bringing peace to the Holy Land. 3) We encourage all people of good will to support agencies, already hard at work throughout the region, in their efforts to assist the displaced populations in order that they may return to their homes. 4) We urge governments and authorities to insist upon the fundamental human rights and religious freedom of all, urgently establish the rule of law, and immediately desist from supporting extremist groups and oppressive governments whether through financial means or military arms. 5) We urge the United Nations and the international community, and especially the government of our United States of America, to establish policies that promote peace and justice for all in the region, while refraining from all forms of violence. 6) We firmly reiterate our call for the immediate release of our brothers, the Greek Orthodox Metropolitan Paul Yazigi and the Syriac Orthodox Archbishop John Ibrahim, both of Aleppo in Syria, who were kidnapped on April 22, 2013, as well as the release of all innocent captives. Finally, above and beyond our appeal and prayer for peace and justice, mindful that "what is impossible with men is possible with God" (Luke 18.27), we place our ultimate hope in "God, Who is the source of peace" (Rom. 16.20). In the Ninth Article of the Nicea-Constantinople Symbol of Faith proclaimed by the holy Fathers of the First and Second Ecumenical Councils, we confess our faith in "One, Holy, Catholic, and Apostolic Church." By virtue of the catholic nature of the Church, an Ecumenical Council is the Church's supreme authority, and possesses the competence to resolve major questions of church life. An Ecumenical Council is comprised of archpastors and pastors of the Church, and representatives of all the local Churches, from every land of the "oikumene" (i.e. from all the whole inhabited world). The Orthodox Church acknowledges Seven Holy Ecumenical Councils: The First Ecumenical Council (Nicea I) (May 29, and also on seventh Sunday after Pascha) was convened in the year 325 against the heresy of Arius, in the city of Nicea in Bithynia under StConstantine the Great, Equal of the Apostles. The Second Ecumenical Council (Constantinople I) (May 22) was convened in the year 381 against the heresy of Macedonias, by the emperor Theodosius the Great. The Third Ecumenical Council (Ephesus) (September 9) was convened in the year 431 against the heresy of Nestorius, in the city of Ephesus by the emperor Theodosius the Younger. The Fourth Ecumenical Council (Chalcedon) (July 16) was convened in the year 451, against the Monophysite heresy, in the city of Chalcedon under the emperor Marcian. The Fifth Ecumenical Council (Constnatinople II) (July 25) "Concerning the Three Chapters," was convened in the year 553, under the emperor Justinian the Great. The Sixth Ecumenical Council (Constantinople III) (January 23) met during the years 680-681, to fight the Monothelite heresy, under the emperor Constantine Pogonatos. The fact that the Seventh Ecumenical Council (Nicea II) is not commemorated today testifies to the antiquity of today's celebration. The Seventh Council, commemorated on the Sunday nearest to October 11, was convened at Nicea in the year 787 against the Iconoclast heresy, under the emperor Constantine and his mother Irene. The Church venerates the Holy Fathers of the Ecumenical Councils because Christ has established them as "lights upon the earth," guiding us to the true Faith. "Adorned with the robe of truth," the doctrine of the Fathers, based upon the preaching of the Apostles, has established one faith for the Church. The Ecumenical Councils, are the highest authority in the Church. 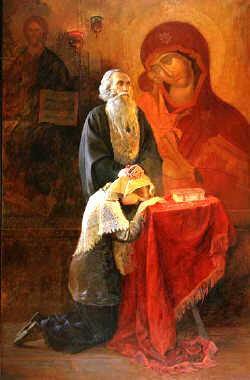 Such Councils, guided by the grace of the Holy Spirit, and accepted by the Church, are infallible. 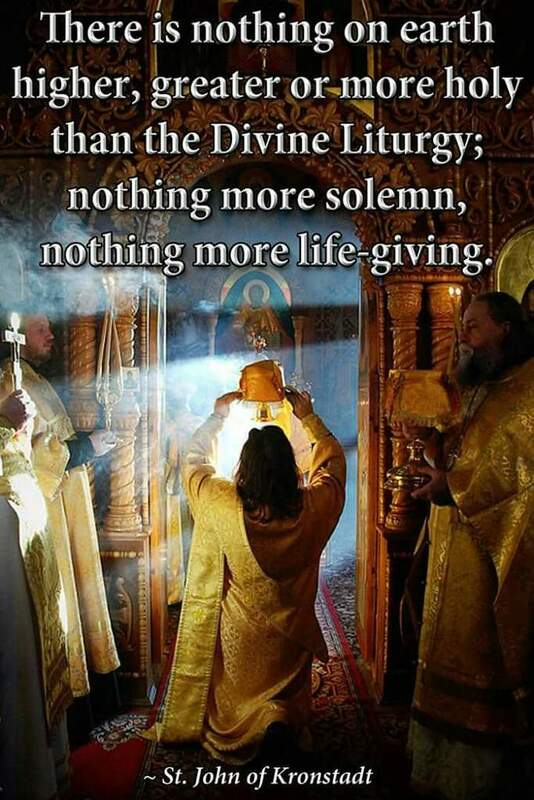 The Orthodox Church's conciliar definitions of dogma have the highest authority, and such definitions always begin with the Apostolic formula: "It seemed good to the Holy Spirit and to us..." (Acts 15: 28). The Ecumenical Councils were always convened for a specific reason: to combat false opinions and heresies, and to clarify the Orthodox Church's teaching. 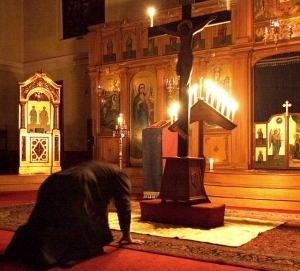 But the Holy Spirit has thus seen fit, that the dogmas, the truths of faith, immutable in their content and scope, constantly and consequently are revealed by the conciliar mind of the Church, and are given precision by the holy Fathers within theological concepts and terms in exactly such measure as is needed by the Church itself for its economy of salvation. The Church, in expounding its dogmas, is dealing with the concerns of a given historical moment, "not revealing everything in haste and thoughtlessly, nor indeed, ultimately hiding something" (St Gregory the Theologian). A brief summary of the dogmatic theology of the First Six Ecumenical Councils is formulated and contained in the First Canon of the Council of Trullo (also known as Quinisext), held in the year 692. The 318 Holy Fathers of the First Ecumenical Council are spoken of in this Canon I of Trullo as having: "with unanimity of faith revealed and declared to us the consubstantiality of the three Persons of the Divine nature and, ... instructing the faithful to adore the Father, Son, and Holy Spirit with one worship, they cast down and dispelled the false teaching about different degrees of Divinity." The 150 Holy Fathers of the Second Ecumenical Council left their mark on the theology of the Church concerning the Holy Spirit, "repudiating the teaching of Macedonius, as one who wished to divide the inseparable Unity, so that there might be no perfect mystery of our hope." The 200 God-bearing Fathers of the Third Ecumenical Council expounded the teaching that "Christ, the Incarnate Son of God is One." They also confessed that "she who bore Him without seed was the spotless Ever-Virgin, glorifying her as truly the Mother of God. The 630 Holy Fathers of the Fourth Ecumenical Council decreed that "the One Christ, the Son of God... must be glorified in two natures." The 165 God-bearing Holy Fathers of the Fifth Ecumenical Council "in synod anathematized and repudiated Theodore of Mopsuestia (the teacher of Nestorius), and Origen, and Didymus, and Evagrius, renovators of the Hellenic teaching about the transmigration of souls and the transmutation of bodies and the impieties they raised against the resurrection of the dead." The 170 Holy Fathers of the Sixth Ecumenical Council "taught that we ought to confess two natural volitions, or two wills [trans. note: one divine, and the other human], and two natural operations (energies) in Him Who was incarnate for our salvation, Jesus Christ, our true God." "The faith of all in the Church of God hath been glorified by men, which were luminaries in the world, cleaving to the Word of Life, so that it be observed firmly, and that it dwell unshakably until the end of the ages, conjointly with their God-bestown writings and dogmas. We reject and we anathematize all whom they have rejected and anathematized, as being enemies of Truth. And if anyone does not cleave to nor admit the aforementioned pious dogmas, and does not teach or preach accordingly, let him be anathema" (Canon I of the Council of Trullo). In addition to their dogmatic definitions, the Holy Fathers of the Ecumenical Councils exerted great efforts towards the strengthening of church discipline. Local Councils promulgated their disciplinary canons according to the circumstances of the time and place, frequently differing among themselves in various particulars. The universal unity of the Orthodox Church required unity also in canonical practice, i.e. a conciliar deliberation and affirmation of the most important canonical norms by the Fathers of the Ecumenical Councils. Thus, according to conciliar judgment, the Church has accepted: 20 Canons from the First, 7 Canons from the Second, 8 Canons from the Third, and 30 Canons from the Fourth Ecumenical Synods. The Fifth and the Sixth Councils concerned themselves only with resolving dogmatic questions, and did not leave behind any disciplinary canons. The need to establish in codified form the customary practices during the years 451-680, and ultimately to compile a canonical codex for the Orthodox Church, occasioned the convening of a special Council, which was wholly devoted to the general application of churchly rules. This was convened in the year 692. The Council "in the Imperial Palace" or "Under the Arches" (in Greek "en trullo"), came to be called the Council in Trullo. 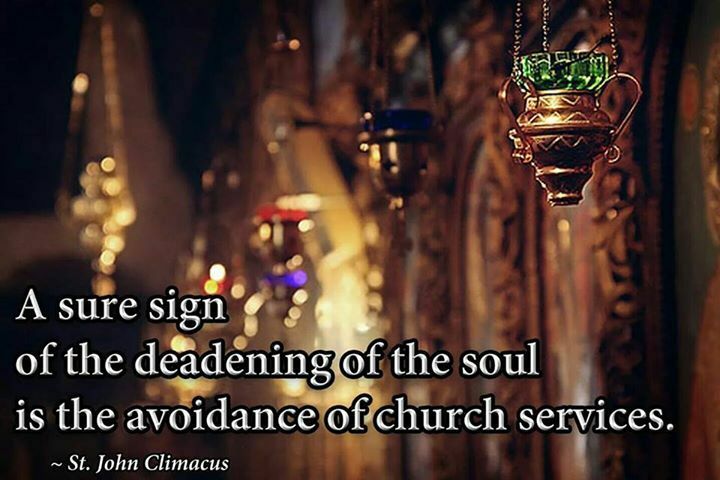 It is also called the "Quinisext" [meaning the "fifth and sixth"], because it is considered to have completed the activities of the Fifth and Sixth Councils, or rather that it was simply a direct continuation of the Sixth Ecumenical Council itself, separated by just a few years. The Council in Trullo, with its 102 Canons (more than of all the Ecumenical Synods combined), had a tremendous significance in the history of the canonical theology of the Orthodox Church. It might be said that the Fathers of this Council produced a complete compilation of the basic codex from the relevant sources for the Orthodox Church's canons. Listing through in chronological order, and having been accepted by the Church the Canons of the Holy Apostles, and the Canons of the Holy Ecumenical and the Local Councils and of the holy Fathers, the Trullo Council declared: "Let no one be permitted to alter or to annul the aforementioned canons, nor in place of these put forth, or to accept others, made of spurious inscription" (2nd Canon of the Council in Trullo). Church canons, sanctified by the authority of the first Six Ecumenical Councils (including the rules of the Seventh Ecumenical Council in 787, and the Constantinople Councils of 861 and 879, which were added later under the holy Patriarch Photius), form the basis of THE RUDDER, or KORMCHAYA KNIGA (a canon law codex known as "Syntagma" or "Nomokanon" in 14 titles). 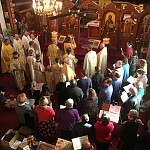 In its repository of grace is expressed a canonical norm, a connection to every era, and a guide for all the local Orthodox Churches in churchly practice. New historical conditions can lead to the change of some particular external aspect of the life of the Church. This makes creative canonical activity necessary in the conciliar reasoning of the Church, in order to reconcile the external norms of churchly life with historical circumstances. The details of canonical regulation are not fully developed for the various eras of churchly organization at all once. With every push to either forsake the literal meaning of a canon, or to fulfill and develop it, the Church again and again turns for reasoning and guidance to the eternal legacy of the Holy Ecumenical Councils, to the inexhaustable treasury of dogmatic and canonical truths. Question #4: But why must I go to a priest for confession; can't I just confess directly to God? Answer: The first Christians confessed their sins publicly, out loud before everyone in the Church, because we sin against both God and one another; and they received the forgiveness -- the absolution -- from the bishop (or the priest) as directed by our Lord. St James confirms this, saying: "Confess your sins to one another" (James 5:10). Because people unfortunately began to discuss one another's sins, the Church prescribed that the priest (or bishop) would not only individually offer the forgiveness, but would also individually hear the penitent's confession with the promise of confidentiality. Just like we cannot be healed by our doctor unless we tell him where the pain is, we cannot be healed of our sins unless we tell them in the presence of our spiritual father. It is humbling to be sure; but that cures the mother of all sin: pride. St John Chrysostom tells us, "It is difficult to confess to our spiritual father; but I would rather confess my sins to one man and be forgiven, than be disgraced before the whole universe at the Last Judgment for my unforgiven sins." "The cross is something wonderfully great and honourable. It is great because through the cross the many noble acts of Christ found their consummation -- very many indeed, for both His miracles and His sufferings were fully rewarded with victory. The cross is honourable because it is both the sign of God's suffering and the trophy of His victory. It stands for His suffering because on it He freely suffered unto death. But it is also His trophy because it was the means by which the devil was wounded and death conquered; the barred gates of hell were smashed, and the cross became the one common salvation of the whole world. The cross is called Christ's glory; it is saluted as His triumph. We rccognise it as the cup He longed to drink and the climax of the sufferings He endured for our sake. How Shall We Repay the Lord for All His Goodness to Us? What words can adequately describe God's gifts? They are so numerous that they defy enumeration. They are so great that any one of them demands our total gratitude in response. Yet even though we cannot speak of it worthily, there is one gift which no thoughtful man can pass over in silence. God fashioned man in His own image and likeness; He gave him know- ledge of Himself; He endowed him with the ability to think which raised him above all living creatures; He permitted him to delight in the unimaginable beauties of paradise, and gave him dominion over everything upon earth. Then, when man was deceived by the serpent and fell into sin, which led to death and to all the sufferings associated with death, God still did not forsake him. He first gave man the law to help him; He set angels over him to guard him; He sent the prophets to denounce vice and to teach virtue; He restrained man's evil impulses by warnings and roused his desire for virtue by promises. Frequently, by way of warning, God showed him the respective ends of virtue and of vice in the lives of other men. Moreover, when man continued in disobedience even after he had done all this, God did not desert him. No, we were not abandoned by the goodness of the Lord! Even the insult we offered to our Benefactor by despising His gifts did not destroy His love for us. On the contrary, although we were dead, our Lord Jesus Christ restored us to life again, and in a way even more amazing than the fact itself, for His state was divine, yet He did not cling to His equality with God, but emptied Himself to assume the condition of a slave. He bore our infirmities and endured our sorrows. He was wounded for our sake so that by His wounds we might be healed. He redeemed us from the curse by becoming a curse for our sake, and He submitted to the most ignominious death in order to exalt us to the life of glory. Nor was He content merely to summon us back from death to life; He also bestowed on us the dignity of His own divine nature and prepared for us a place of eternal rest where there will be joy so intense as to surpass all human imagination. How, then, shall we repay the Lord for all His goodness to us? He is so good that He asks no recompense except our love: that is the only payment He desires. To confess my personal feelings, when I reflect on all these blessings, I am overcome by a kind of dread and numbness at the very possibility of ceasing to love God and of bringing shame upon Christ because of my lack of recollection and my preoccupa- tion with trivialities. Ancient Wisdom -- with Contemporary Relevance! Should we look to kings and princes to put right the inequalities between rich and poor? Should we require soldiers to come and seize the rich person's gold and distribute it among his destitute neighbors? Should we beg the emperor to impose a tax on the rich so great that it reduces them to the level of the poor and then to share the proceeds of that tax among everyone? Equality imposed by force would achieve nothing, and do much harm. Those who combined both cruel hearts and sharp minds would soon find ways of making themselves rich again. Worse still, the rich whose gold was taken away would feel bitter and resentful; while the poor who received the gold from the hands of soldiers would feel no gratitude, because no generosity would have prompted the gift. Far from bringing moral benefit to society, it would actually do moral harm. Material justice cannot be accomplished by compulsion, a change of heart will not follow. The only way to achieve true justice is to change people's hearts first and then they will joyfully share their wealth. Holy Cross Orthodox Church is part of the Diocese of Eastern Pennsylvania, which is presided over by The Most Reverend Mark (Maymon), Archbishop of Philadelphia and Eastern Pennsylvania. 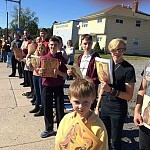 Our mission is bringing the joy of Christ's resurrection to those who have never heard the Good News, and to strengthen and encourage the faithful who reside within Williamsport and the local area. The Holy Scripture is a collection of books written over multiple centuries by those inspired by God to do so. It is the primary witness to the Orthodox Christian faith, within Holy Tradition and often described as its highest point. It was written by the prophets and apostles in human language, inspired by the Holy Spirit, and collected, edited, and canonized by the Church. Holiness or sainthood is a gift (charisma) given by God to man, through the Holy Spirit. Man's effort to become a participant in the life of divine holiness is indispensable, but sanctification itself is the work of the Holy Trinity, especially through the sanctifying power of Jesus Christ, who was incarnate, suffered crucifixion, and rose from the dead, in order to lead us to the life of holiness, through the communion with the Holy Spirit.